Thanks for this, Amanda. Neatly done – bird looks down just at the moment when camera is looking up! On-the-wing images like this one have great appeal to me. If you ever snap an osprey in flight I’ll be even more impressed. Thanks, Kim 🙂 I had an opportunity to be surrounded by gulls of all kinds in Norway, and they’re such great characters! It was lovely to meet you too, although the nature of social media is such that I felt I’d already met you. I hope our paths cross again before too long. 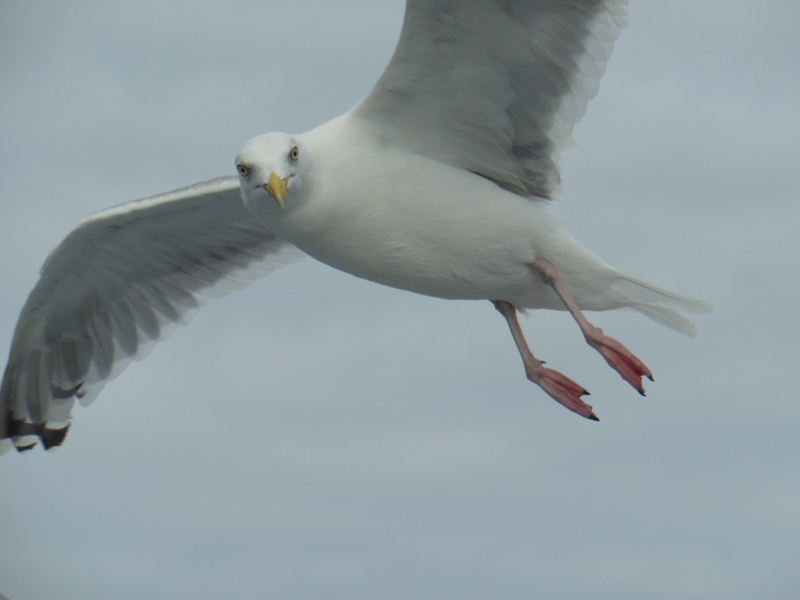 I love birds, and this Gull is no exception. Birds, particularly in flight, seem like otherworldly creatures, lifting themselves above all the hullabaloo of human activity. Photographing birds is so exciting – simply because it is so hard and thrilling when you actually get a good shot! This one is brilliant. People often forget the seagull, because they are part of us, of our community, as they are always there. And this one has come to say hello.